Blue Star AC Customer Care Number is provided below for customers to contact customer service team for any service/product related queries. Blue Star AC Toll Free Number is a 24/7 service number which can be used by the consumers to record their complaints. Blue Star AC Toll Free Number : 1860 266 6666. Customer Helpline Number : 1800 209 1177. Before escalating the complaint, the consumers are requested to register the first time complaints through email or the 24×7 customer service no 1800 209 1177. You will be given a Ticket Number as soon as your complaint gets registered, quote that Ticket Number while escalating the complaint, for faster resolution. Escalation of Service Related, Installation & Delivery related Complaints: Even after contacting the Toll-free numbers, Email Support if users are not able to get satisfactory responses to the complaints registered with the company, Pls write to the following Escalation Service mailbox at: escservice@bluestarindia.com or you can contact them through the Customer Service Numbers provided below or alternatively you can also register your complaint online . Similarly if you are facing any issues with regard to the Installation/Delivery of your newly bought Blue star AC you can write to the following email addresses. The contact details of various escalation officers are mentioned here for customer reference. For information about Blue Star AC prices , Models list , Warranty Registration, Dealer Locator, Service Centres, Service Locator, please visit the Blue star website. About Blue Star India : Blue Star is India’s largest central air-conditioning company with an annual turnover of Rs 2800 crores. The company has a network of 29 offices with over 1200 dealers around India supporting the Sales and service network. With around 2800 employees and 6 modern manufacturing facilities in India the company fulfills the air-conditioning needs of Residential customers, Commercial & Corporate clien ts. Worst service and horrible experience, after 25 days from purchase of product the same couldn’t be utilized due to defect in product. On making complaint to toll free as well as to local service center, no proper response has been received towards resolution of the issue except to lodge the ticket number, visit of technician n cancel the complaint. All are working with evasive approach which is damaging the image of company. Blue Star India — Worst AC service – poor installation service from bluestar – Afert 5 days of purchase of AC no one came for installation – if you dont have capacity to provide service than close your brand . I recently bought Blue Star 1.5 split AC and before I planned to get I confirmed with the dealer that installation will be done on that day itself. Dealer contacted someone and promised me that installation will be done on same day. They logged a ticket and I call many times to customer care and they people stating that installation will be done on same day. But at End of the day none turned up. I again spoke about this issue to customer care second day and I was told installation will be done and technician will visit in 1 hour and none turned back. Today after 5 days of purchase the situation is to live witout AC. This is the worst serivice from reputes company like Bluestar. Bluestar taken money and not providing services. Why bluestar you making wrong promices. if you dont have capacity to provide than close your bussiness and let people to choose other brand AC than bluestar. Blue Star AC very poor service standard. 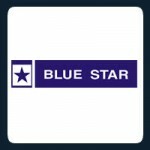 Blue star AC worst customer care. Don’t make people fool that you will contact in 4 hours. Hi my name is Robin Choudhary from Baroda i purchase blue star inverters ac last year in may in 1 year we repair this ac 5 times and now again it was working from last 2 days we write a complaint also nobody is coming the temperature is 40+ we want to Exchnge this ac we are not satisfied with the ac. With Bluestar common in all I have recommended my friend for his restaurant. But I have an issue with my AC. From the above table you can see that my Ac creating problem of cooling right after 6 months ( used period 2 months) of purchase and continued the same problem after that too. From 25/10/2017 to 25/4/2018 AC usage period will be hardly 2 months and within this 2 months it will be third time found cooling problem with the AC. I have 8 LG AC in my old office using for 2 years even without a single service. I can see Panasonic, Daikiin etc all around my flat running without a problem. I expect your reply as well as your suggestion. I have attached bill and job sheet as proof. We have forwarded your request to the concerned department and they will get back to you. Please feel free to call our 24 * 7 toll free number 1800-209-1177. My name is Vikas Jain, working with Doordarshan since 1995 as producer. We purchased three (by mistake quoted two) blue star, 5 star rating 1.5 ton air conditioners in 2015 from tata croma through our credit card. Since the start of this summers none of the ac are working, after putting numerous complaints the problem is not solved. We are having other make air conditioners all are working well with excellent company service network, Blue Star has outsourced their service department to contractors, these contractors are unprofessional & cheaters. They are not able to solve the problems & always having some or other excuse. We are exhausted now & may approach the consumer court if our problem of air conditioners is not rectified with immediate effect. I purchase a air conditioner from bedi electronics (LUDHIANA). They promised me they will fit it today same day then i purchase the AC. After that i get a call from blue star customer care from a mobile no.8837676784. A girl was talk with me then i said to her i want it today otherwise i have no need of your Ac. She hold my phone & talk to other staff bt he talk very abusive language. Your staff don’t know how to speak with a customer & how make the deals why u hired uneducated staff. please take back your air conditioner. I can buy any other air conditioner. i am harinder singh calling from faridabad from xtraaa your search ends here.mobile showroom faridabad.i have take bluestar 5 ac in our showroom they are not working properly and i am not satsified from your service and your company ac is very lower quality .in a year i have doing 2 times servies in oct 2013 to till now. AC purchased before 3 months. AC not working properly. Your people in Erode simple listening the words and problem but vain. nobody will take care of that complaint. I bought a Bluestar AC before three months. And i am trying to give it for service. Can anyone give me chennai customer service contact number pls?? Please sent address & contact no for BLUE ATAR split AC Service Station near Alkapuri , Vadodara-07, Gujarat. I have brought 12 Blue star A.C Split last two years back,for my hotel deepak in puri (orissa) I find your company service very poor n your mechanic has taken one of my split a.c pcb during guarantee period and never returned for last 2 years. I am also facing lots of problem. 2 of my a.c is not working properly. If u have no responsibility in providing service, u have no right to sell the product.very very bad customer service. u are very much involved in taking salaries and no responsibility in providing service.u r taking salaries, so provide service also.Do justice to ur jobs. And make a note that “HP” customer service is very very good.they follow the customer very well.they take confirmation and after providing the service they call us for the feedback. i have complained regarsing our AC repair before 3 days.But response is not proper. i am faceing problem in my window ac 1.5 ton model 181 yb in garuntee gas pipe burst . company is not changing my ac .very very poor service NAM BARE PAR DARSHAN CHOTEY no body purchase blue star ac. very very poor service after sale. I purchased a1.5 ton AC from your dealer from Kurukshetra last year. He told that the first service is free and will be in the next season so i called him no. of times to send a person for the service but could not get the response. Please make it fast so that i can rely on your company services. After listening of more and more name of company blue star . And now in 2010 on 1 april when we start the ac the ac is again stopped after calling to local dealer several times , service men came and said that the compressor is not working and to be replaced .i make the call to the dealer and he said that it may take 3 to 4 days process to replce . I had made daily calls to that dealer and they are now making daily new excuses till dated 25 april 2010. As these is the very hot season and the temperature is also risen very high 44 degree. My daughter and my brother also suffer from the hot season due to blue star ac. Your dealer is very very clever . I have call the managers many times and there is no response from them. They all making us fool & making money out of it . now the condition is so worse that his service people is unable to correct the units till dated 25 april 2010 due to this we are loosing our business like anything , so its my request to you to take the fast action on dealer as well as managers. And we are very harressed. And i strongly recommended that no one purchase blue star ac if there is such type of dealers as well as company managers. Please make the necessary actions to such kinds of peoples who are making company products worst by making fool and senless talks to the customers and making money out of it..
i purchased blue star window ac but the ac giving a lot of problen with in the warrenty (8 month) the cooling gas leak. delear send a mechanic he cut the pipe of gas and refill the gas but ac is not working properly. he is giving some noise. now i am thinking that we have loose rs.18000/ due to purchasing of blue star ac. CAN YOU HELP IF YES KINDLY GIVE THE RESPONSE. My A.C ia in warranty, And I am facing problem in cooling i called customer care around three times but till now no response can you please help me for the same…!!! Address- E-86, 2nd Floor, G.K-2, New Delhi-110048.